A deal has been agreed to keep the RF1 service running for at least the next 5 years. A new contract’s been awarded to operator Centrebus following a change of heart by the company who initially wanted to pull out, but after discussions with Rutland County Council they submitted a new bid which has now been accepted. 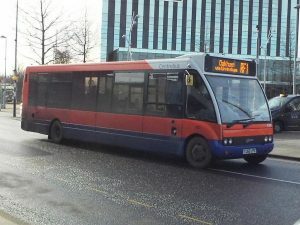 Meanwhile, a petition has been launched by Corby’s Labour Party representative Beth Miller to save the No.67 bus service (Gretton to Market Harborough), which ceased operation on 25 May following withdrawal of the Northants County Council subsidy. You can sign the petition by clicking on the link below. This move follows on from a community event held by Beth in Cottingham on 23 May. The Parish Councils in the villages served by the No.67, including Cottingham and Middleton, have also approached Corby and Kettering Councils to see if they would consider subsidising the service so it can continue through to next year.